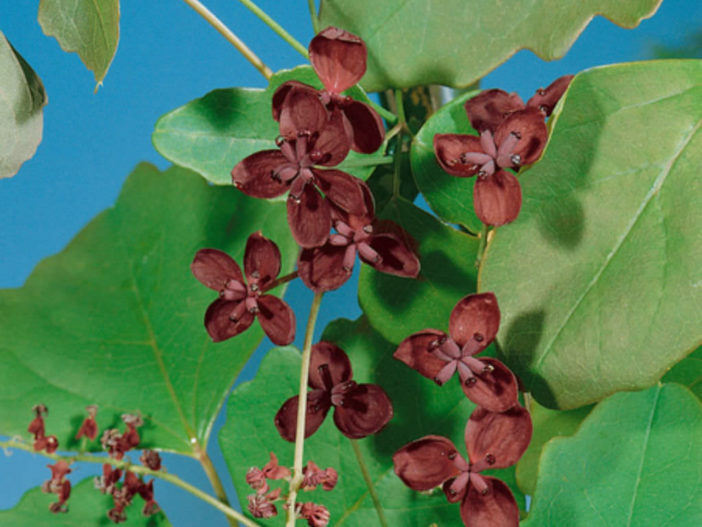 Akebia trifoliata is a strong-growing climber, growing up to 30 feet (9 m) long, with leaves composed of three ovate, slightly lobed leaflets which are often bronze-tinted when young. Evergreen in mild winters, it loses its leaves in cold climates, but the twining, woody branches are handsome even when bare. 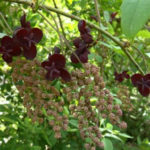 The flowers are deep purple in short racemes, followed by light purple fruits. 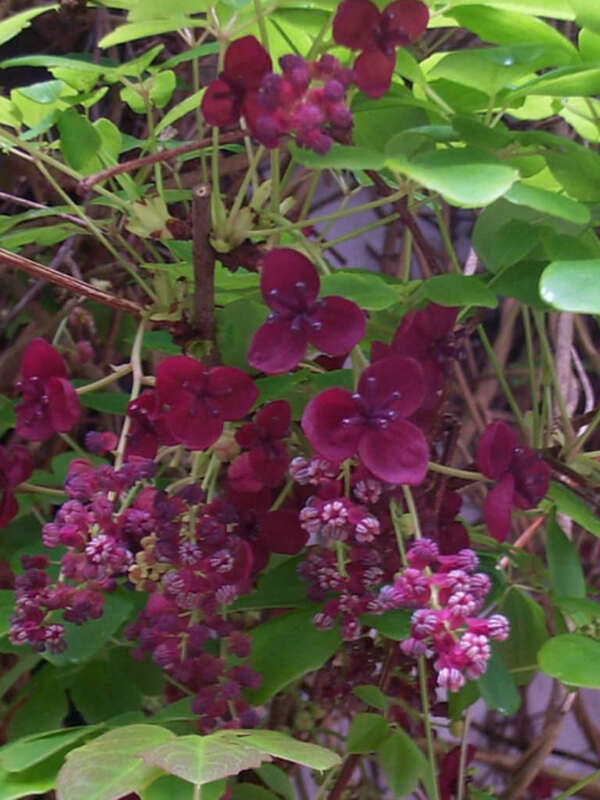 Plant the Chocolate Vine in the spring or fall, in average well-drained soil. 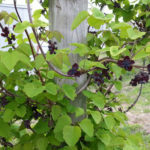 If you wish to grow the fruits, plant at least two vines to increase the chances of pollination and fruiting. 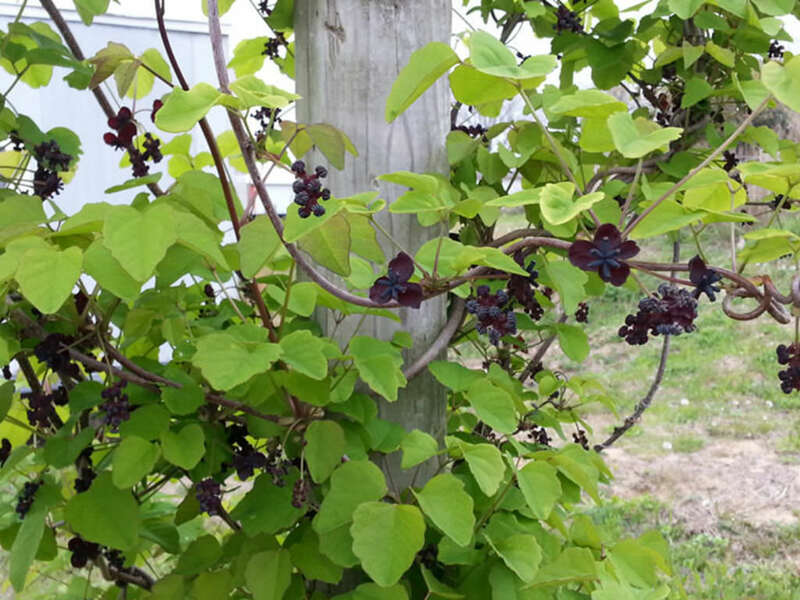 Chocolate Vine is a light feeder, and doesn’t require supplemental flower fertilizer. You can provide trace nutrients for vines growing in poor soil by mulching with compost or well-rotted manure. 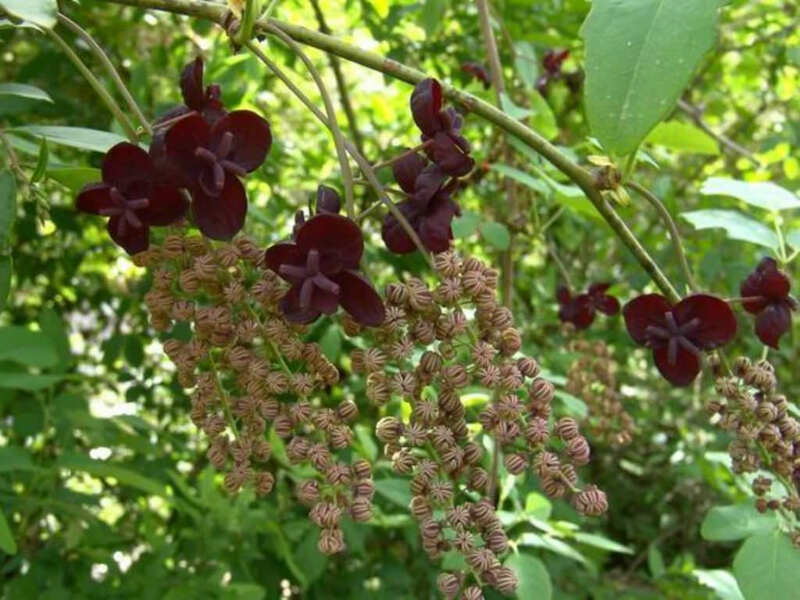 The Chocolate Vine will climb on supports or scramble up to 40 feet (12 m). Because of its vigorous growth habit, many gardeners prune the chocolate vine back to ground level in late winter to keep it in check. 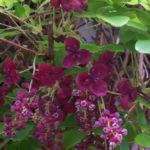 You can also lightly prune the vine to help it look tidy after flowering.